MANILA -- State lawyers on Monday urged the Supreme Court (SC) to turn down the petition of embattled Senator Antonio Trillanes IV on the voiding of the supposed amnesty granted to him by former President Benigno Aquino III, in connection with a number of aborted coups led by the lawmaker when he was still a military officer. 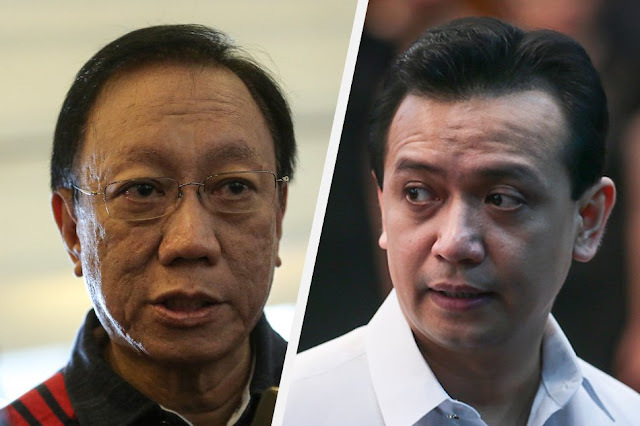 In its 81-page comment filed before the tribunal, the Office of the Solicitor General (OSG) urged the SC to "deny due course" and to dismiss Trillanes' petition. The OSG pointed out that Trillanes jumped the gun in going to the High Court while similar cases are pending in the Makati courts. "The petitioner prematurely invoked the Court's intervention when he asked for the issuance of an injunctive writ as the trial courts are hearing his side. He is not only allowed to file comments on the motions for alias warrants of arrests, he is also allowed to file a rejoinder. There is no showing that the trial courts failed to recognize his rights as an accused," the OSG added. It also stressed the threat that the senator would be detained and without a warrant of arrest is "more imagined than real", and added that President Duterte has already declared that he will await the issuance of a warrant of arrest before he is arrested and apprehended. The top government counsel underscored that the President is bound to faithfully execute all laws including clemency powers. "Proclamation No. 572 is embraced within the executive's faithful execution clause and ordinance power. Thus, questions involving the legality and constitutionality are political in nature and are, therefore, beyond the ambit of the honorable court's power of judicial review,"
The Solicitor General noted that the amnesty claimed by Trillanes "were procured through misrepresentation of a purported valid grant of amnesty." He said that Trillanes himself annexed in his petition "a news article where he (Trillanes) denied admission of guilt and attached an unaccomplished application form only," and said it is likewise highly doubtful that Trillanes did personally appear before the notary public who notarized the petition. "The Senate has no record of Notary Public Atty. Jorvino Angeles going in and out of the Senate. Angeles himself poses dubious circumstances as comparison of his signature appearing on Trillanes' petition is far different from other documents he notarized," the Solgen said in a statement.